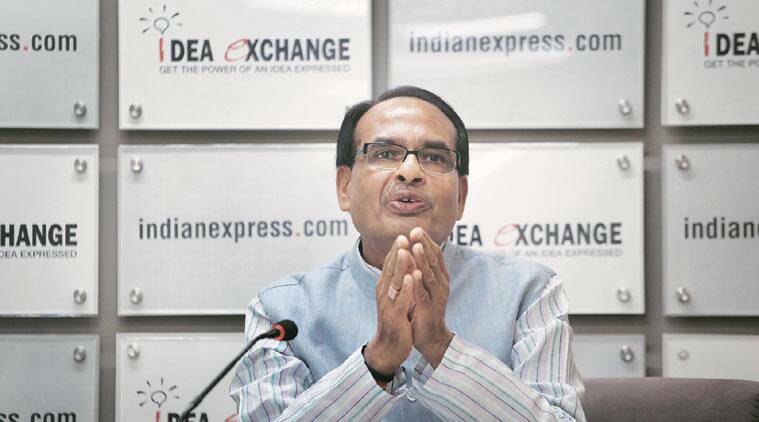 Madhya Pradesh Chief Minister Shivraj Singh Chouhan asserts that it was he who sought a probe into Vyapam scam, dismisses “rumours” of an inside hand in the charges against him. Into his third term as Chief Minister, Shivraj Singh Chouhan is facing the biggest threat to his political career, with his own role being questioned in the Vyapam scandal. He is a proven performer for the BJP, having led the party to two straight Assembly election victories. In the 2014 Lok Sabha polls, the BJP had swept the state, winning 27 of the total 29 seats. 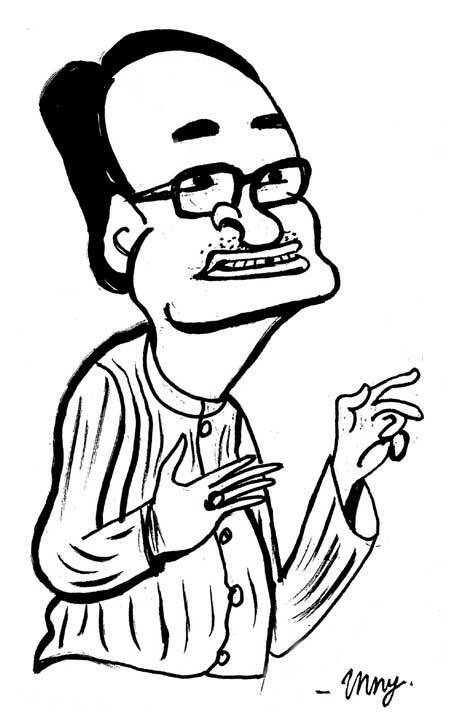 SHIVRAJ SINGH CHOUHAN: Until 10 years ago, Madhya Pradesh was known as a bimaru state. We were backward in all respects, be it roads, electricity, water. We have tried to build infrastructure, and I am happy to say that even villages have 24X7 electricity now. Today, Madhya Pradesh imports electricity and villages have road connectivity. We have doubled our agricultural output in four years. Per capita income has grown from Rs 13,000 in 2003 to Rs 59,000. We are getting investments in every field. Regards good governance, the state has done three things. First it was the first state to bring in the Public Services Guarantee Act, including penalty for erring officials. Second, we got in e-tendering. Third, we built special courts to tackle illegally acquired property… It is in this context that I want to talk about Vyapam. Before I became CM and the Congress was in power, there was no transparency in police recruitments, or local appointments. We used to get complaints all the time. I felt there should be a transparent system. If there were violations even in this transparent system, who caught them? We ourselves did. In July 2013, when I got to know of cheating in the PMT (pre medical test), I said we should find out if there is a racket behind this. Police did investigations, arrested them, led to more arrests. Eventually the STF was formed, and more facts came out. And the rest you know. In all, 1.7 crore people gave the exams in all, violations were found in 1,641 cases. In percentage terms, that works out to 0.01 per cent. We took the initiative, not the media — no one knew about it. MANEESH CHHIBBER: But what about the unnatural deaths of people involved in the scam? A total of 1,641 admissions were found suspicious by the STF. The case unravelled on the basis of a hard disk recovered from a computer. Eventually, there were around 2,600 accused, including the racketeers, those who actually participated in the cheating, and those who benefited. When the STF went looking, it arrested 2,200 people, of which 1,860 got bail. Some of the accused couldn’t be found, others were on the run, while yet others were found to be dead. Of the 31 found dead, 15 had died before the Vyapam probe even started. MANEESH CHHIBBER: There were reports of an excel sheet with names of many prominent people, including some linked to you. The investigation is being done on the basis of the original excel sheet. The Congress got into the picture when we opened an inquiry and went to court, but the courts refused to intervene or to allow a CBI probe. The high court did one thing — it said the STF would be completely independent of the state government and report to the court. The high court would have a hearing every week and looked at a matter again if it felt there was a need. Besides, the high court set up an SIT, which monitored the probe on a day-to-day basis. Now when this allegation was made that the excel sheet was amended and that the chief minister removed his name to include that of the governor, a minister, Uma Bharti, I requested the high court to immediately hold a probe. See, the Congress’s agony is different — it hasn’t won an election against us in 12 years, be it at any level. I don’t feel nice saying this but the truth is that there are some royal Congress leaders who can’t digest the fact that a person coming from an ordinary background, a farmer’s son, can remain the chief minister of Madhya Pradesh for so many years. This is not the first time they have made these allegations. They discuss this openly among themselves, that if they don’t finish me, how will they return? I will just give you one of the seven things the SIT cited to say the Congress papers were forged. The Dell laptop that they said they had got the excel sheet from hadn’t even been launched then. It was launched six months later. Dell also confirmed this. So if someone lies, sometimes he lies so much that he gets caught. Then they targeted my family, that there were 19 names of my in-laws (in the lists). Even that got cleared. Sach mein, hamare ek mitra jo Madhya Pradesh ke mukhya mantri reh chuke hai, woh to bawle se ho gaye hain. ‘Ki kuchch na kuchch karo. Kuchch nikalo. Isko hatane hai, iske bina kaam chalega nahin’ (The fact is that one of our colleagues, who has been the CM, has almost gone mad. ‘Do something, anything… find something… have to remove him, otherwise we are finished’). VANDITA MISHRA: You are talking of the Congress, but many in Delhi talked about an inside BJP hand in the charges against you. I am an ordinary person, from a government school, a lower-middle-class farming family. It was the BJP that chose a person like me to head Madhya Pradesh, gave me this chance three times. And these were unanimous decisions, there was no disagreement. Even now I feel that whoever it be in the party, the PM, the party chief, the parliamentary board — I too am a member — I had their love and support earlier and have it even now. These rumours are completely wrong. VANDITA MISHRA: Recently, senior BJP leader Shanta Kumar publicly expressed his concerns regarding what was happening in the party. Immediately, you opposed this. Do you see this as a correct response, considering it was from within and from such a senior leader? When the media is running so many stories for so many days on Vyapam, anybody can be misled on the scam. Shanta Kumar too didn’t have the full information. I talked to him on the phone as well and said you should have checked with me first. I collected all the facts in a letter and sent it. But since his objections had been expressed in public, I felt that to ensure that there were no further misconceptions, my side of the story, which was also Madhya Pradesh’s side of the story, should be known. I told him this too, I said one word, ‘Mujhe jaanch par sharm nahin, garv hai (I’m not ashamed of the probe, but proud of it)’. If I wanted, there would have been no probe. COOMI KAPOOR: If the party asks you to resign, would you do so, as a disciplined party worker? I am such a party worker that whatever the BJP tells me, I will follow it to the letter. There is no question of hesitating. But this is an imaginary question. This shouldn’t create an impression that the party is thinking like this. Even in the in-house meeting, every second, the party stood by me, backed me, and said this is all rubbish, I shouldn’t even think of such a thing. P VAIDYANATHAN IYER: These allegations, against you, Sushma Swaraj, Vasundhara Raje, all senior leaders, appear to have come together. Many feel there is a design to this, a concerted effort against top leaders of the BJP from within. It is a coincidence that all this has come together. If there were no deaths (in Vyapam scam), then there wouldn’t have been so much noise, but it is just a coincidence. There is no question of internal conspiracy, we all are together. P VAIDYANATHAN IYER: What do you think about special category status to states? As far as the special category states are concerned, they have their own problems, like states on the border, and we need to take special care of them. The situation in these states is different. For development of these states the challenges are different, they have limited resources, so they need to be taken care of. SHOBHANA SUBRAMANIAN: On the land amendment Bill, the BJP government has suggested that in 13 sectors, social impact assessment and consent clauses should not be included. Do you support this? I think whatever the government and the BJP have suggested is correct. See, there are some things that are needed for the country and the people. Now if we talk of irrigation, then in a state like Madhya Pradesh, if we plan to increase irrigation, we will have to take people’s land. It is correct that the compensation, rehabilitation should be right. But if you want development, then you need some land. To make hospitals and schools and for other development works, we need land. If we don’t get the land, we cannot go ahead with the development agenda. So for projects that are very important for the social sector, there shouldn’t be a consent clause because getting everyone on board will result in a huge waste of time and the country will not progress. LIZ MATHEW: In the Vyapam scam, initially the Centre didn’t come out and support you. But after a meeting with you in Delhi, they all came out in your defence. What changed? APPU ESTHOSE SURESH: In the Vyapam case, somewhere it was felt that your government was apprehensive about a CBI probe. Why were you scared of a CBI probe given that your own government was at the Centre and would have ensured a fair probe? See, this is a misconception. Let me tell you that I sought a probe and the STF was doing a thorough investigation and the suspects had been taken into custody. All arrests were made on facts. Now, should I not trust the STF? No one sought a CBI probe then. Members of the Congress had gone to the high court and the court commended the STF probe, and noted that to hand over the case to the CBI now would send out a wrong message. Even the Supreme Court did not ask for the case to be transferred to the CBI. If I had asked for the case to be transferred, then some would have said that the STF was doing a good job and you are transferring the case because your government is at the Centre. But then you will ask me why transfer the case later? See, the atmosphere created in three to four days, when members of the Congress said things, there was hype in the media… How many people in the country could I have gone to and explained what Vyapam is? That is when I thought that the case needs to be given to the CBI now. SHAILAJA BAJPAI: Can you explain why you don’t want children in your state to have eggs? This is also a falsehood. In Madhya Pradesh, eggs have never been served in anganwadis. We decided to serve milk in anganwadis three days in a week. I don’t know where the report of eggs came from. It was never that eggs were being served and we stopped it. Eggs have never been served in anganwadis. MONOJIT MAJUMDAR: Your state has introduced a law against vexatious litigation. What was the need to bring the law now? There are many cases which are not true and many such cases were brought to our notice. When we discussed the issue, we realised that there are some people who file cases just to trouble someone. If a person is innocent, then for years he just keeps making trips to court. So to tackle such cases, if a law is being put in place, then there is nothing wrong with that. I am not talking about one person, many such fake charges are made and after two-three years of investigation, the case falls apart. MANEESH CHHIBBER: In case of the land Bill, there is a suggestion that if the state governments want to bring in their law, they should not be stopped. What is your opinion? I had suggested this in the NITI Aayog meeting. I felt that it will take time to reach a consensus (on the land Bill). Until then, the states that want to proceed should not be stopped. I said the decision should be left to the states. I said that if you feel people will not approve, then let the states face it. If the states feel they need land for a project, then they should devise their own strategy. Why should we leave everything to the Centre? So the Akalis (Shiromani Akali Dal) said it, I also said it, that any state will not go against its people to enforce a decision and so let them decide. If the people can be convinced and there can be development, then let that happen. UNNI RAJEN SHANKER: On MNREGA, you seem to differ from the Central government. Do you support MNREGA? No, I feel we have the same opinion. The Centre has never opposed MNREGA. We feel that MNREGA has helped labourers immensely, even the Prime Minister believes this. But the question is, why do we need MNREGA after so many years? Why should they (labourers) still be digging pits? Why couldn’t we lift their standard of living? So, the question is, after so many years of Independence, can a labourer only be employed to dig pits and break rocks? We should have taken people beyond this in 60 years. So MNREGA is useful, but it is unfortunate that after so many years we still need it. 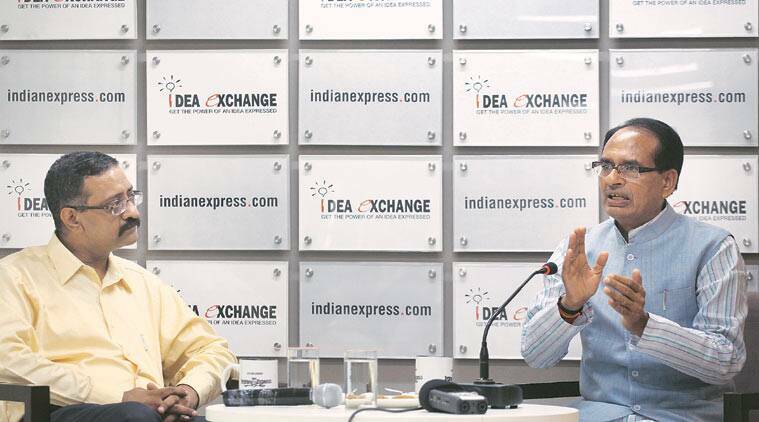 VANDITA MISHRA: There are two perceptions about your government — one that it is an efficient government and the other that you have given RSS projects too much space in your administration. Is this a stated intent? See, the RSS is an organisation of patriots. If they are doing good work, there is nothing wrong in supporting them. But as far as projects in the government are concerned… Surya namaskar has not been started now; it has been going on since 2008. Besides, it is optional. We haven’t said everyone needs to do it. We celebrate all festivals at the chief minister’s residence, I personally organise them. There hasn’t been a single riot in Madhya Pradesh since I came to power. You can go to the minority communities and ask them about my government, I don’t want to brag, but we have the love and trust of all communities in Madhya Pradesh. During the Congress regime, not more than 10,000 students from the minority communities got scholarships, but in my tenure, we gave scholarships to 1,60,000 students. We have made separate job schemes for them. I do not use the word Hindu-Muslim, because it is divisive in nature, we are all children of Mother India and with this in my heart and mind, I am moving forward. VANDITA MISHRA: Are there schemes in Madhya Pradesh that you have adopted from other states? We constantly assess what is happening in other states and we have no apprehensions about adopting good schemes. For instance, the water conservation project in Gujarat when Narendra Modi was chief minister. We adopted that scheme in our state and we made close to seven lakh water bodies in one year. The work done in Chhattisgarh in connection with the PDS was also good and we tried to execute it in our state. To understand the policies of sand mining, I sent a team to Andhra Pradesh, where Chandrababu Naidu had developed a policy. Teams from other states come to Madhya Pradesh too, and I think this is a healthy exercise. MANOJ CG: After the Vyapam controversy broke, did the Prime Minister speak to you or did you speak to him explaining your position? Modiji never questioned me regarding the case. After the last meeting of the NITI Aayog, I briefed him in detail about Vyapam case. It was my duty to let him know. But he never asked me for any explanation.